And the wind was blowing. Paired with a 36 degree temperature, it was cold. Damn cold. 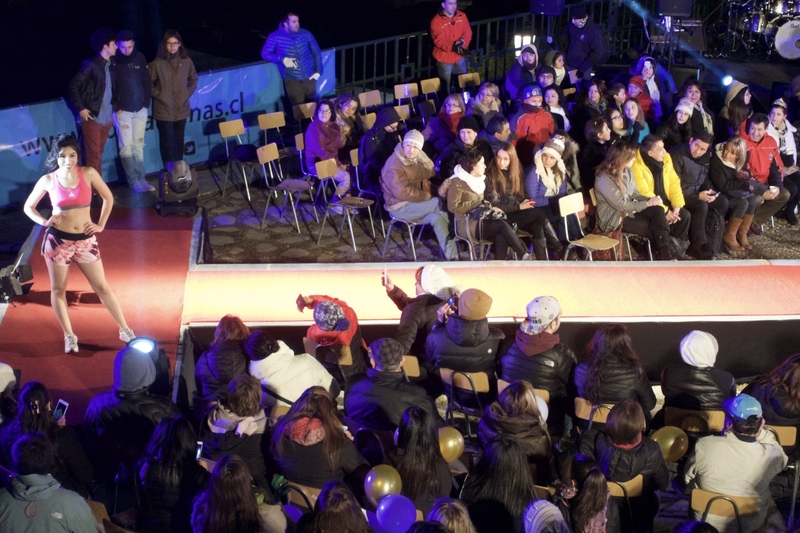 Still, this was the beginning of the Punta Arenas winter festivities, celebrating the longest night of the year. So it was dark too. It’s dark here a lot these days. In late June the sun rises around 9am and is down not much after 3pm. So far south, it describes an arc in the sky of barely 90 degrees. That’s a pretty tight arc. Two days earlier I found myself walking into a sunrise as I was headed roughly north. Later the same day I was also walking north as the sun was setting and it was still in my eyes. This same sun never climbs above what might be considered 10am in more temperate zones. Like most of the people here, it doesn’t spend much time outside. Some 2 dozen years ago the residents in the Magellanes district of Chile wanted to change this. They decided that rather than fight the cold and darkness, why not celebrate these conditions? 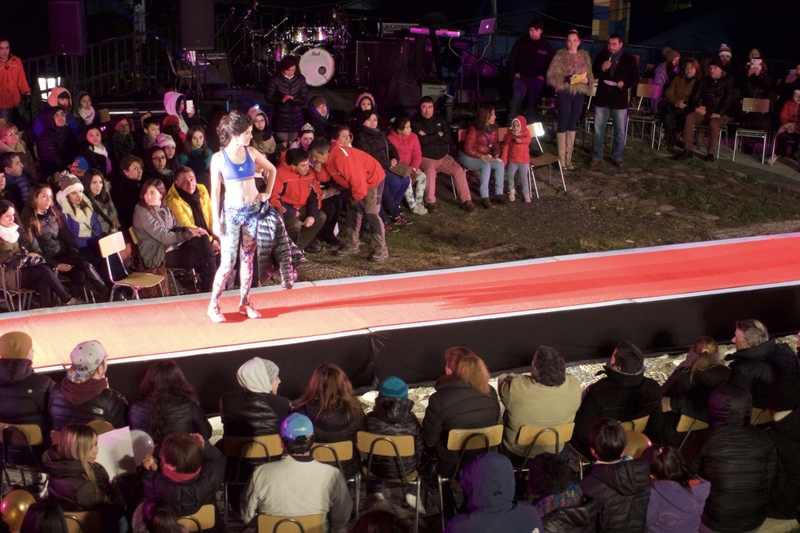 As a result the Winter Festival in Punta Arenas lasts for 2 months with cultural, sporting and culinary exhibitions spread throughout the city. I had arrived in Punta Arenas to celebrate my birthday conjoined with the beginning of this festive season. But still, I miss the sun. That I have seen the sun shine so brightly and so often is odd, not just to me but to the residents here. They tell me that this time of the year I should be walking in a slushy mix of snow and rain. But in the week that I’ve been here the skies have been mostly clear. The weather is off, they say. The weather’s been off since I got to South America. Eighteen months ago in Quito, Ecuador the weather was off. At least that is what the family I was boarding with told me. And when I was in Perú, except for the 5 weeks in the Amazon, the weather was off. It’s the same story wherever I go, the weather is off. Though what isn’t off is the fact that residents of Punta Arenas are directly below the largest hole in the ozone above our planet. While the hole itself has lessened in recent years, the increase in ultra-violet rays is still a threat in these parts. So I take the Elder Bush’s advice and I wear a hat. But last night the air was so cold that I not only wore a hat, but 2 layers of hood over the hat. Which was far more than the young women wore as they paraded down the elevated platform. Some of them, with far more active metabolisms than I, actually began their walks in only swimwear. Most, though, were slightly more sensible and had on their winter parkas and only unzipped their down jackets when standing in front of the judges table. The announcers, dressed more appropriately with scarves and woolen gloves explained to us that most of these women and girls were athletes. I should hope so. One would have to be a good sport to display their finest in these conditions. We were all up on the Cerro del Cruz. 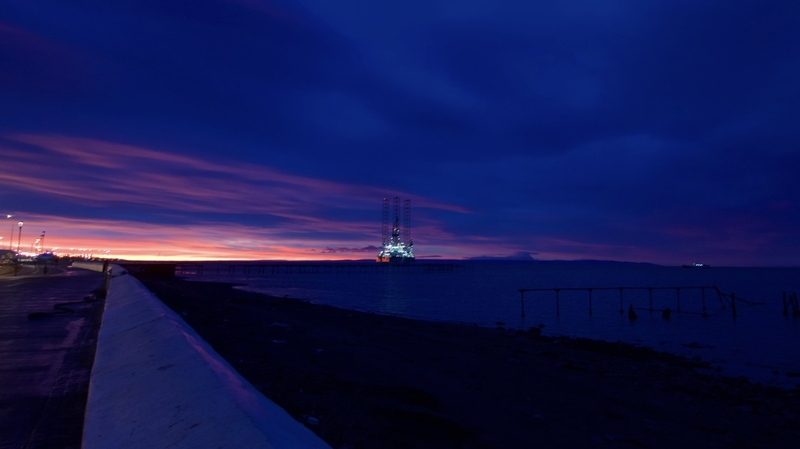 The Hill of the Cross is a viewpoint overlooking Punta Arenas, the harbor, and the Strait of Magellan beyond. 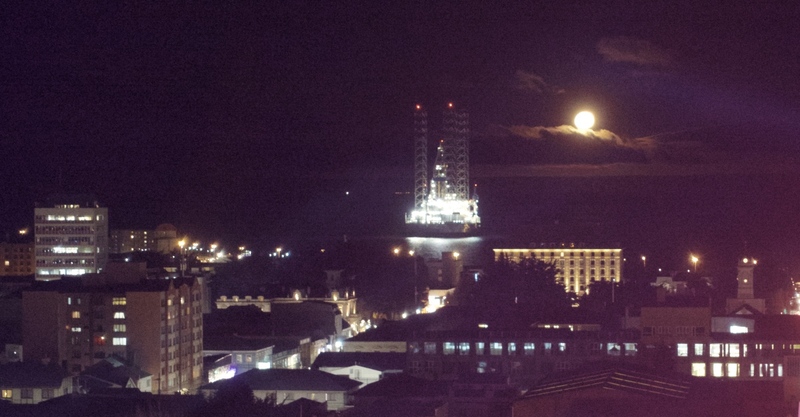 With the moon, one night after its full stage and rising over the island of Tierra del Fuego, this was a festive turnout in a very special place. By now my fingers were unresponsive and my camera was shaking. So I never found out who actually won the contest. Yet the bundled-up audience, the hyper-active rock band, the stage hands controlling the blinding lights and the roaming dogs all seemed ready and willing for a continued celebration. I bid them farewell and scurried back to the relative warmth of my room. This entry was posted in Chile and tagged Punta Arenas, Winter Festival on 2016-06-22 by kmalivuk.